The car belongs to Congress Lok Sabha MP from Manipur Dr Thokchom Meinya. Parliament security personnel are investigating the cause of the incident. Parliament security personnel are investigating the cause of the incident. 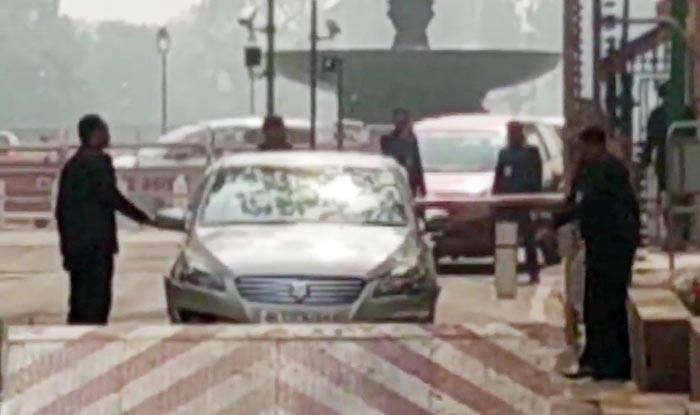 New Delhi: A high alert was sounded after an MP’s car rammed into a barricade in Parliament premises on Tuesday. The car belongs to Congress Lok Sabha MP from Manipur Dr Thokchom Meinya. Security personnel got into action after the car tried to enter the premises from the wrong gate. The car was checked by the security officials. Reportedly, it is the same gate from where terrorists had launched a ghastly attack on Parliament in 2001. Parliament security personnel are investigating the cause of the incident. More details are awaited.